This tree does best in full sun to partial shade. 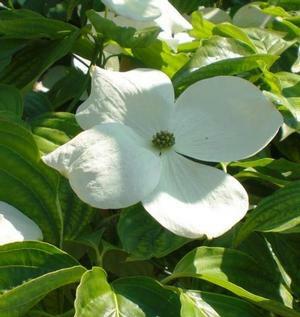 Cornus is a genus of about 30–60 species of woody plants in the family Cornaceae, commonly known as dogwoods, which can generally be distinguished by their blossoms, berries, and distinctive bark. Several species have small heads of inconspicuous flowers surrounded by a collection of large, typically white petal-like bracts, while others have more open clusters of petal-bearing flowers.